Sir Paul McCartney is the latest music industry luminary to suggest that he had always been suspicious of Jimmy Savile. In the wake of the revelations about Savile’s sexual abuse, many of the late DJ’s contemporaries have revealed their suspicions. They just never got around to voicing them at the time. The Beatles met Savile regularly during tours in the early and mid-60s. McCartney remembered that Savile never invited the band in after they dropped him home. 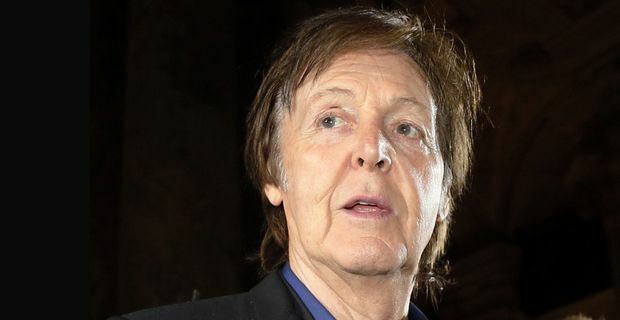 "When he’d gone we thought why doesn’t he let us in, what is it, because most people would have let us in that we gave a lift to," McCartney told the Independent. "So we always thought there was something a little bit suspect." A lack of hospitality is hardly firm evidence against Savile, but McCartney acknowledges that the treatment of young girls in the 1960s was "not so PC", with many bands taking advantage of groupies and teenage fans. The era was awash with bands composing dubious lyrics about schoolgirls. Even in the 70s, McCartney was not averse to singing a lascivious rocker about a 'Girls School' with his band Wings. "We knew with under 16s it was illegal, so we didn’t do it," McCartney said, adding that the Beatles had "tried" to make sure of girls’ ages. Presumably by asking them, rather than demanding documentary proof. "There was a definite no-no involved in underage kids," he said. What is apparent from the interview is that The Beatles, like many people who had dealings with Savile, were prepared not to ask too many questions about the man’s sexual predilections because of the influence he exerted in the British music industry. McCartney admitted that the Beatles worked with Savile regularly and were amused by his roguish tales of being an "older hustler guy".